Armadent was founded in 1991. 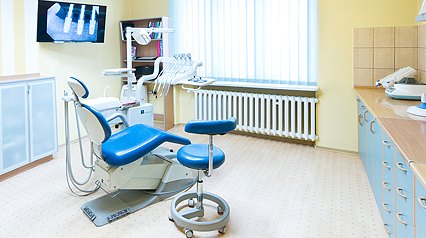 From the very beginning, it has been our goal to create a dental practice that would not only provide the highest standard of care but also take a highly personalized approach to treatment. We grant each patient all the time he/she needs to feel fully comfortable. Consultation and discussion of the treatment plan are not limited to a single visit; all questions need to be answered and doubts dispelled so that the patient can actively and consciously participate in the treatment and help ensure its long-term results. 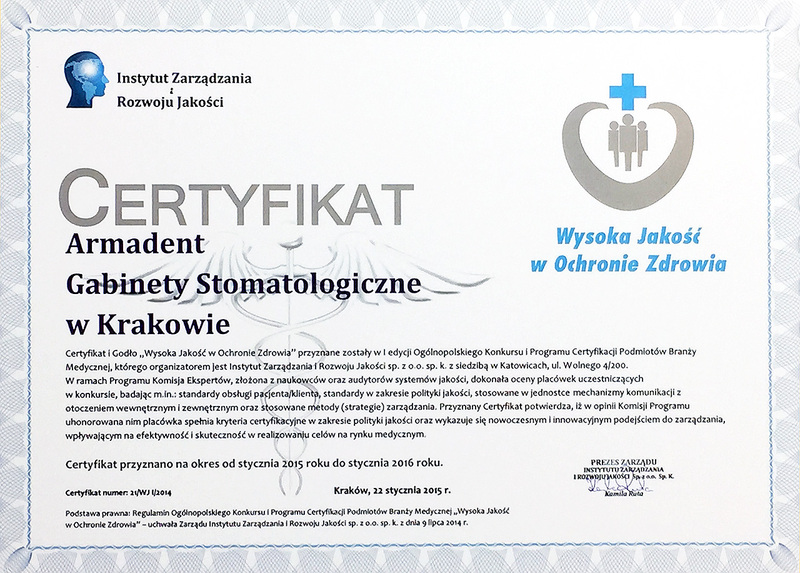 To keep up with the challenges of contemporary dentistry, we regularly attend professional conferences, congresses, and training events both in Poland and abroad. Our aim is not just to solve a dental issue but to treat the patient as a whole. 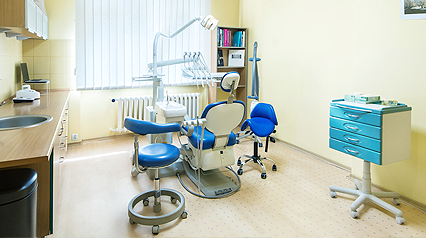 In its essence, our mission is to provide comprehensive dental care, ranging from conservative and esthetic dentistry, dental surgery and periodontology (dealing with the diseases of the structures that surround and support the teeth), laser therapy, all the way to implants and prosthetics. Current research show that in order to restore equilibrium in the mouth it is often necessary to perform procedures spanning various areas of dentistry. There is no other way to ensure successful treatment and full recovery. Our offices are situated in the heart of the Old Town, in Pl. Matejki. Pl.Matejki has always been an important landmark on the map of Kraków. Phone reservations are only possible during the opening hours. Copyright © 2019 Armadent. All rights reserved.